You are here: Home » Audible Linux – How to Install in Ubuntu? Audible has one of the largest collections of best audiobooks. Amazon certainly knew that when bought them recently. In spite of wide spread Audible.com reviews, Audible linux is far from a reality for most linux enthusiasts. One of the machines I use daily is a Ubuntu linux desktop. Audible works fantastic with iTunes on Windows and Mac. Installing audible on Ubuntu with wine is straightforward if you have installed any Windows program on Ubuntu with wine. If not, wine is a Windows emulator program that runs most windows installers without a problem. Now, right click the file and select ‘Open with Wine Windows Program Loader’. Now, open AudibleManager and go to Devices -> Activate. For me, once I enter my audible.com login it just closes the login screen and my device is still not authorized. 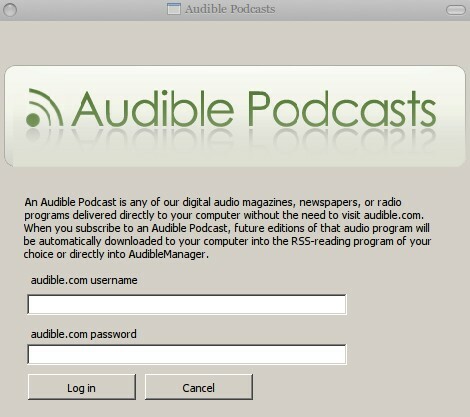 Instead go to Wine -> Programs -> AudibleManager -> Audible Download Manager -> enter Audible.com login. Now, wait for some time to see it load your audiobooks. Now you have working audible linux setup! Rejoice. One thing to remember is that if you were already using Audible on other computers you may have to deauthorize audible account first before you can add it to your linux computer. I tried this only on Ubuntu linux. You can try this on other linux distros and with wine working the same on other linux flavors as well I don’t see why it wouldn’t work. It would be great to see official Audible linux support without having to resort to hacks like this one. You can check out my other Ubuntu linux related posts here. Also, don’t forget to check out this free audible audiobook offer! Stick with an mp3, the equiv, or nothing. There is far too much available to listen to on the Internet that doesn’t require installing such junk. No one wants to run this junk on their computer. And Wine, too? Ha. Pfff.